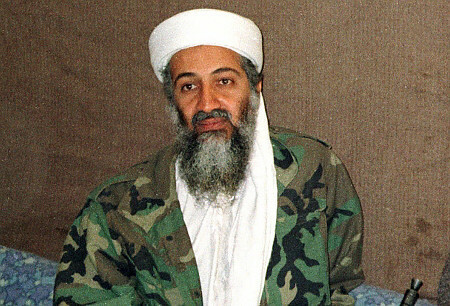 … Just got the official word that Osama bin Laden, the Al-Qaeda head, had been killed by U.S. special forces in Abbottabad, Pakistan only sixty miles from the capital Islamabad. He was located in a prison-sized private mansion complex with 16-foot walls just outside a major army base. The official press release notes that four others were killed in the raid (no U.S. forces or civilians were killed), including a woman said to have been used as a human shield. One of those shot is thought to be bin Laden’s son. Bin Laden, whose body was verified using DNA testing, was buried at sea after being (reportedly) refused passage to Saudi Aarbia for burial.